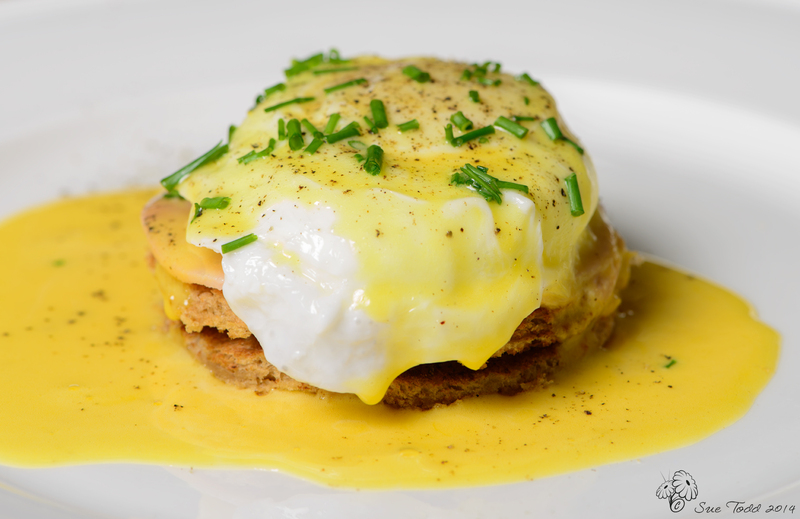 Eggs Benedict – the best breakfast? I think this actually is the world’s best breakfast. Definitely one for a relaxed start to the day on holiday or over a weekend. Left over sauce is great used with poached fish the next day or served with steak, just prolonging the pleasure a bit further. Simmer the white wine vinegar in a small pan along with 1 tbsp of water, 6 black peppercorns and the bay leaf until it has reduced to about 1 tbps. Blend 2oz of the butter with the egg yolks in a bowl. Remove the peppercorns and bay leaf from the vinegar mixture before adding the vinegar mixture to the egg yolks and butter. Whisk. Place the bowl in a bain-marie, or put in a bowl over a pan of boiling water, and add a further 6oz of butter cut into small pieces one or two at a time until they have all melted into the sauce. Keep whisking until your sauce is smooth and glossy. Season to taste. While you are cooking the sauce put a couple of muffins or slices of bread to toast. To assemble, put the muffins or toast on the plate and add a slice of ham before topping with a poached egg. Spoon the hollandaise sauce over the eggs. Delicious served with samphire, asparagus or chopped chives. You can use gluten free bread for a gluten free option. Rounds of toast or muffins work well. I did try some gluten-free, wheat free English Muffins, but they were far too sweet to eat with Eggs Benedict. I will keep trying to find a bread recipe I like that is gluten and wheat free. 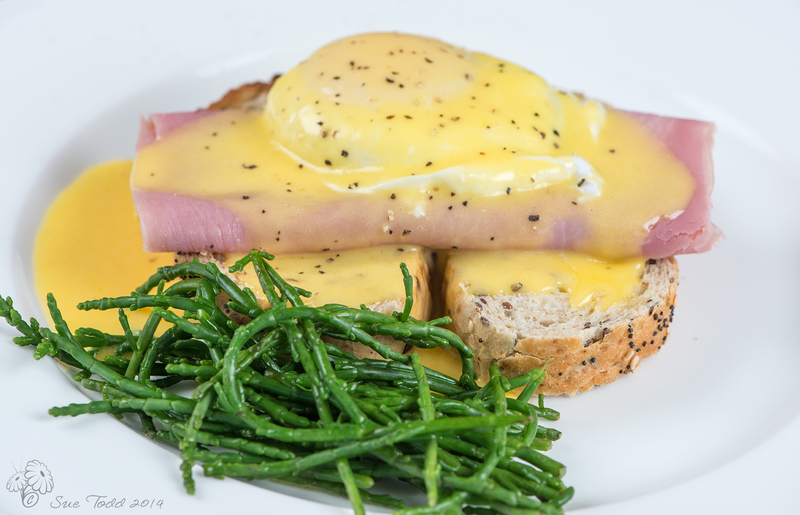 This entry was posted in Breakfast, Recipes and tagged Breakfast, Eggs, Samphire on October 12, 2014 by Sue Todd.